Check out Tobi's Secret Of Life Long Sleeve Top Strut into fall with the Secret Of Life Long Sleeve Black Top. 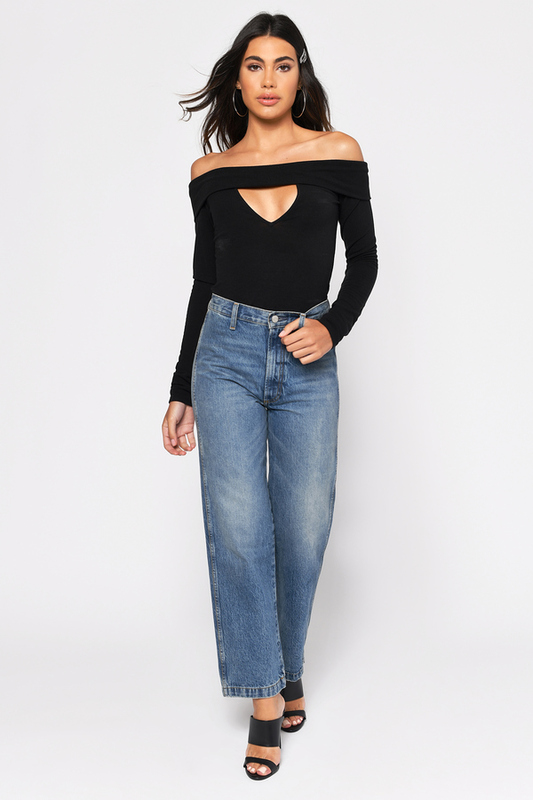 This off the shoulder top features a bardot neckline, tight long sleeves, and a v-cut out in the front. Perfect for a seamless transition from summer to fall, pair this long sleeve blouse with skinny jeans! Strut into fall with the Secret Of Life Long Sleeve Black Top. 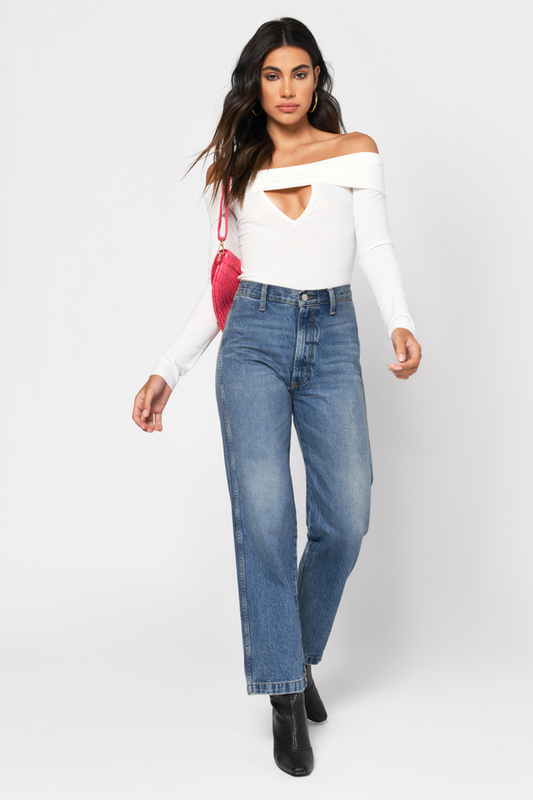 This off the shoulder top features a bardot neckline, tight long sleeves, and a v-cut out in the front. Perfect for a seamless transition from summer to fall, pair this long sleeve blouse with skinny jeans! Strut into fall with the Secret Of Life Long Sleeve White Top. 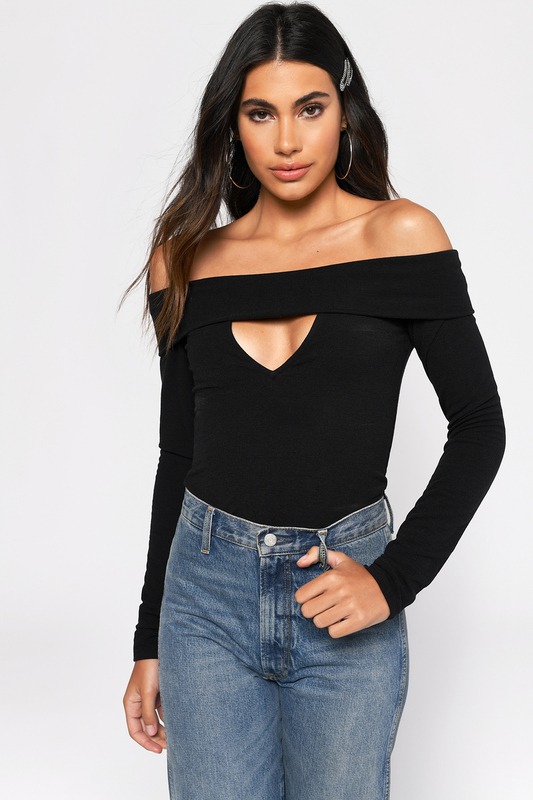 This off the shoulder top features a bardot neckline, tight long sleeves, and a v-cut out in the front. Perfect for a seamless transition from summer to fall, pair this long sleeve blouse with skinny jeans!